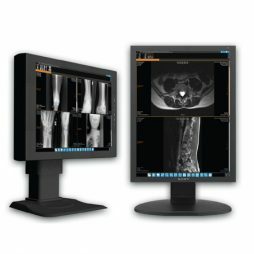 iQ-4VIEW is integrated into iQ-WEBX as a diagnostic thin-client viewer which can be used with all browsers and operating systems and runs on virtually any device – no matter if it is a smartphone, tablet or desktop computer. The client mode for small studies via fast network and server mode for large studies and slow network. iQ-VIEW is an easy-to-use reading station that has been designed by radiologists for imaging specialists. The software is available in two editions. 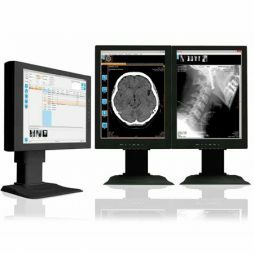 The BASIC edition – iQ-VIEW – was developed as a reading station for all physicians, including orthopedic surgeons, chiropractors and internal specialists, while iQ-VIEW PRO is optimized for radiology and nuclear medicine requirements. iQ-VIEW offers quick and intuitive access to tools for improved efficiency. All image processing tools can be selected via buttons, menu items or keyboard shortcuts. A configurable toolbar in the viewer facilitates the easy selection of functionalities needed for processing images. The most relevant buttons can simply be set up in the user’s own default toolbar. iQ-VIEW PRO provides an automatic previous studies management, which helps the radiologist save time by searching for relevant previous studies of a patient and loading them automatically into the viewer. Of course, the radiologist can define which studies are considered as relevant by setting various filters. iQ-VIEW can function as an image acquisition station by importing images from scanners, directories and portable media, including options for patient reconciliation offered in the PRO edition. It is further possible to attach scanned documents to an already existing study. The software can further be used as an exporting station by writing imaging data and reports to CDs, DVDs or memory sticks, by printing on Windows® laser printers or DICOM medical imagers (including true-size DICOM printing), or by emailing any study to a colleague (even in diagnostic quality). iQ-VIEW may be used as a manual radiological media burning station – or alternatively, as a semi-automatic one in connection with iQ-ROBOT. Of course, iQ-VIEW is CE and FDA 510(k) certified and complies with the DICOM and IHE standards. 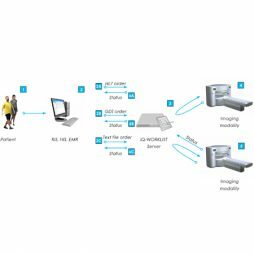 The application is compatible with virtually all medical imaging DICOM devices on the market, regardless of the manufacturer. 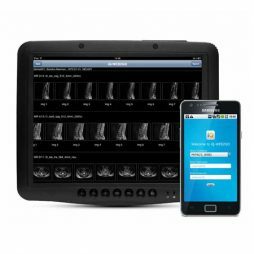 iQ-WEB2GO is an iQ-WEBX module for web-based viewing of radiology images on iOS or Android based mobile, handheld devices including the iPhone, iPad, Samsung Galaxy SII or Samsung Galaxy Tab. 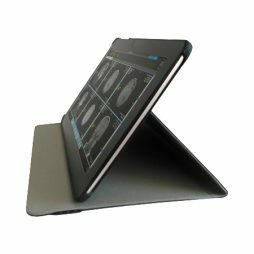 It represents an excellent solution for clinical reference for referring physicians who need to see images at their fingertips without being tied to a workstation. iQ-WEB2GO is also ideal for remote and subspecialty consultation. Access to radiology images is quick, easy and secure. There is no need to run an installer. Simply log in from your mobile device as you would normally log in to iQ-WEBX. Then, select the images you want to view in the Studies Overview page or search for one or a list of studies. Images are displayed immediately in full-screen mode with zoom/pan options. iQ-WEBX WADO is the solution for easy image access integrated into any hospital information system (HIS), practice management system (PMS) or Electronic Medical Record (EMR). 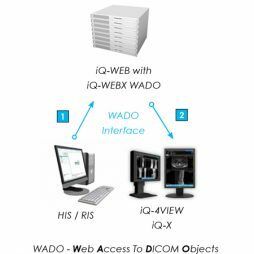 iQ-WEBX WADO provides a secure web-based interface, integrating iQ-WEBX into other web-based or thick client based medical information systems. Referring physicians can access images and reports via this interface using the login of their existing information system – without having to log in once again. An automatic authentication process ensures the accurate access from virtually any other medical information system. 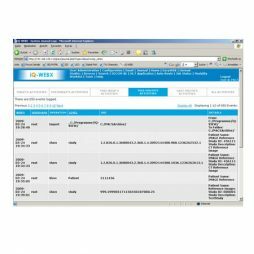 iQ-WEBX WADO provides a secure web-based interface, integrating iQ-WEB into other web-based or thick client based medical information systems. Referring physicians can easily access images and reports via this interface using the login of their existing information system – without having to log in once again. An automatic authentication process ensures the accurate access from virtually any other medical information system. The settings of iQ-WEBX WADO are exclusively specified within the web browser. The administrator can choose between either a conventional view of imaging or a presentation of the results in the iQ-4VIEW or iQ-X viewers with many additional image processing tools. Any iQ-WEBX user can automatically authenticate on iQ-WEBX WADO. The configured iQ-WEBX user account also specifies the rights which the user has while directly opening images. A 128 bit AES encryption guarantees high data security. iQ-WORKLIST is a powerful DICOM WORKLIST server and a must-have in every imaging center. It can interface with most radiology, practice, or hospital information systems, read scheduling data and create DICOM worklists for imaging modalities. By using iQ-WORKLIST, you can accelerate the imaging workflow and avoid typing errors. A worklist broker ensures that the imaging data is consistent throughout all medical information systems. iQ-WORKLIST can be easily installed and configured due to the included configuration presets. It is reliable and easy to maintain. In addition, it can read HL7 order requests (ORM/OMG), patient update/merge messages (ADT), and also accepts BDT/GDT or structured text files as a data source. Also includes an ADT module for patient reconciliation support.